We are bread people. It could be said that we are carb people, but there's something special about a fresh, hot loaf of bread. Especially a French loaf begging to be dipped in oil or slathered in butter. For a number of years,our French or dinner bread fix came courtesy of our grocery store’s bakery. My fiancé had made loaves of bread in the past that tasted wonderful, but with both of us working full time, not planning our meals well and me having no interest in baking bread, it did not happen often. Truthfully, the thought of making bread from scratch scared me as I thought it was "too hard". Once we got smart and started really looking at what we ate and how we cooked, I decided that “too hard” was not a good enough reason to not try my hand at bread. I researched online and flipped through cookbooks until I came upon the Betty Crocker website and found their take on French Bread. It did not look as intimidating as many of the bread recipes out there and I had all the ingredients on hand so I gave it a go. And boy am I glad I did! Not much in this world can beat a fresh, hot loaf of bread straight from the oven, especially one as tasty as this. If the taste does not make you jump on board, the fact that it makes two loaves that freeze perfectly just might. This has given us home baked bread on many a busy day when fresh baked bread would otherwise be a dream! I like to think of this recipe as a introductory bread. It gives you a good taste of the time involoved in bread making but is not so overwhelming and difficult that you give up before you begin. It is also a pretty forgiving recipe so even if the bread does not fold or shape perfectly, it will still taste amazing. So clear your calendar and give this bread a go. I promise you will not be sorry. 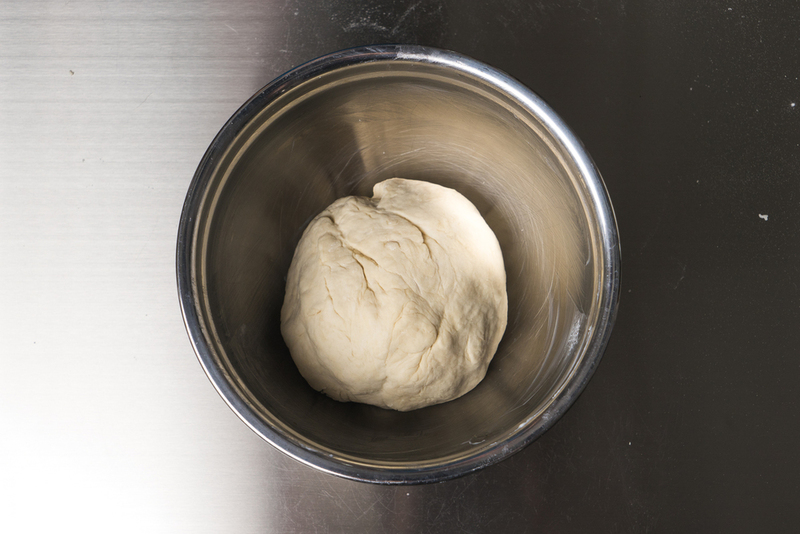 Once the dough is soft and springy to the touch, gently roll into a ball and place in the greased bowl. Cover with a towel and allow to rise in a warm place for 2 hours or until doubled in size. 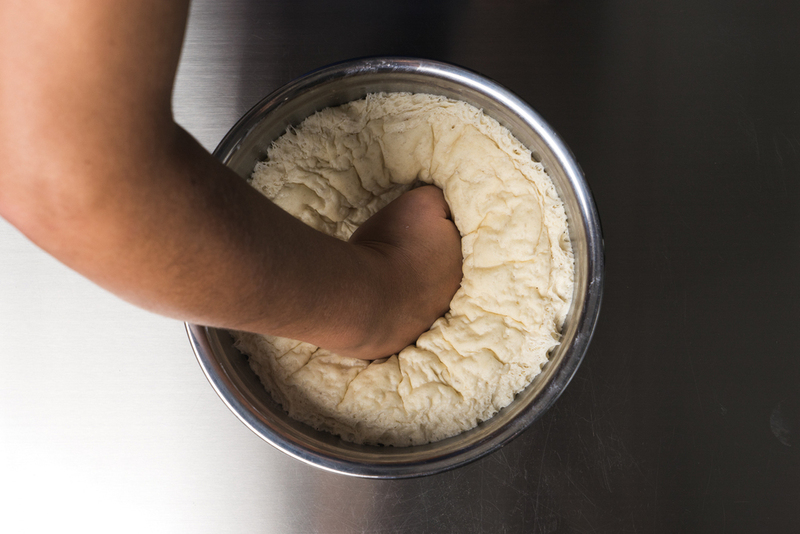 Once dough has risen, punch a hole in the center to deflate and split the dough into two even halves. Using a lightly floured work surface gently roll or shape the dough into a 8-10 inch long rectangle, making sure to gently pull the sides as well to get an even shape. Remove the cover from bread and gently brush or rub additional cold water on each loaf and place the loaves on the top rack of oven directly over the dish of water and bake for 25-30 minutes or until bread is golden and has a pleasant hollow sound when tapped. Once cool enough to touch without burning yourself but still nice and toasty, slice and enjoy with a nice olive oil dip,to sop up delicious sauces and soups or with a nice smear of butter! Making this bread is a bit of a time commitment so try to do it on a day that you are planning on being around the house for a few hours. It’s not all active time, but the dough has to rise for a few hours and will need your attention pretty quickly after it has risen! This bread is amazing all on it's own but there is so much you can do with it! Here are a few of our favorite ways to enjoy this bread!